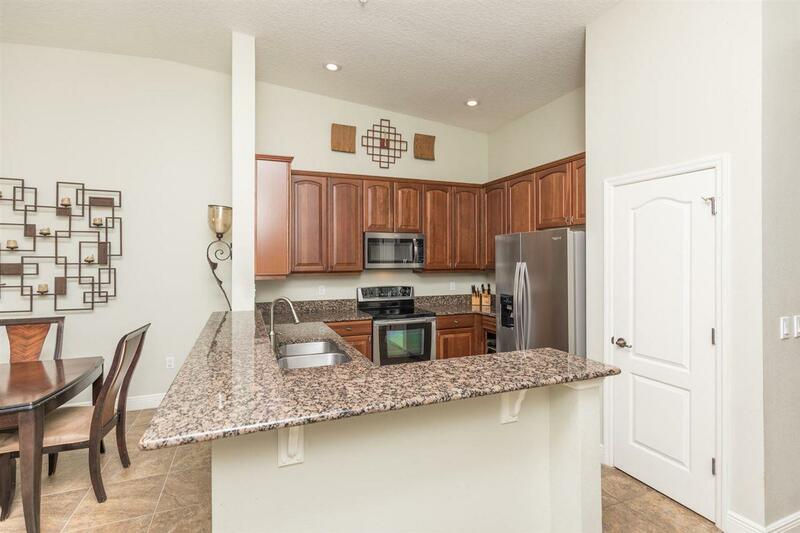 Gorgeous top-floor condo in Tidelands on the Intracoastal! 14' vaulted ceilings give this beautiful residence a grandiose feel. Maximum privacy and ultra quiet, with no neighbors above you. 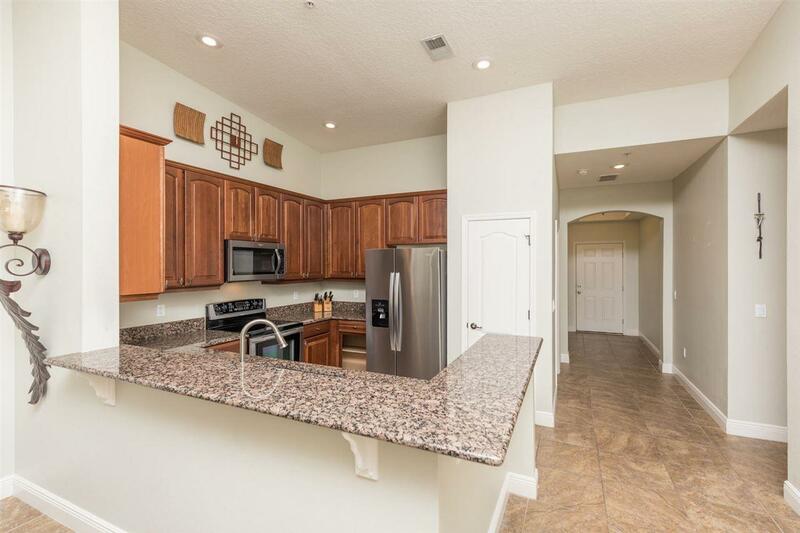 Luxurious fit and finish, including brand-new stainless steel appliances (2018), oil rubbed bronze faucets, tile throughout living areas, granite counters in kitchen and in bathrooms, 42 inch cabinets and more! Completely new A/C system (2017)! New washer and dryer (2017). Designer furnishings negotiable. Relax on the big screened-in balcony overlooking the Intracoastal as the boats sail by. You'll even hear the sound of waves on the ocean at night- only on the top floor above the trees! Detached garage conveys with the property- many others only come with a storage unit. Seller is a licensed FL real estate broker. 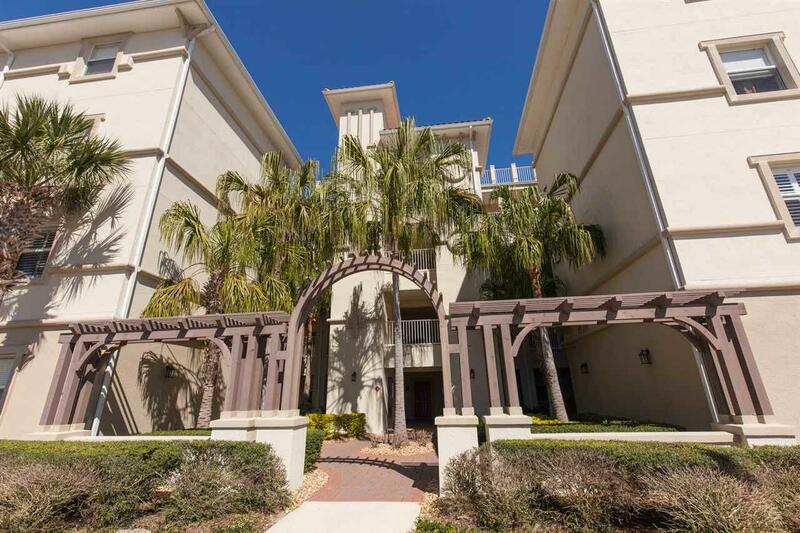 Enjoy strolls on the community's private trail along the Waterway, beneath the canopy of oaks. 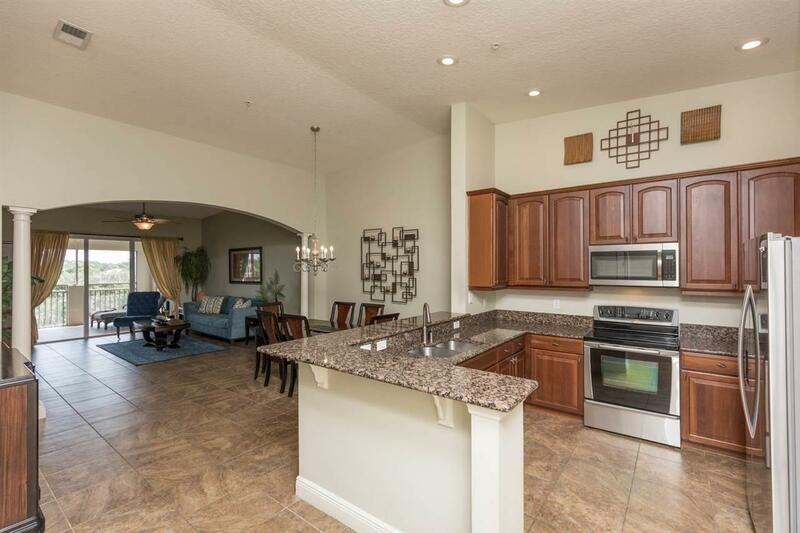 Clubhouse, fitness center, tennis and pools! Cable TV included in HOA. Move-in ready!